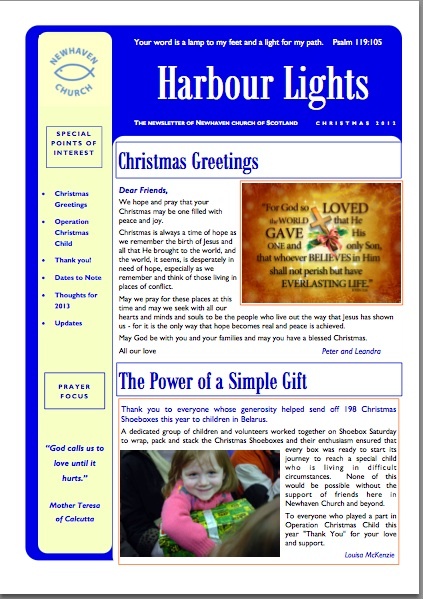 The copy deadline for the next issue of Harbour Lights is next Sunday, 10th Feburary. This issue will cover March, April and May. Please give any items for inclusion to Elaine Greig or email editor@n-c.org.uk.